I have always used the two interchangeably , they are close enough for start loads . You’ll get better accuracy in my experience with the slower powders like the R17 and IMR4350 mentioned. ...and my experience to at least 200yds is that a plain ole 150 FMJ shoots just as good as the more expensive options when using the iron sights. Good shooting! Wow. Is that 100 yards or two? I’m guessing five shots with first shot flyer? Do you get that all the time? Very good shooting for irons. The powder should be RE17 if you're looking to clone it. RE17 is distributed by Alliant and comes from the same MFG as the original GP11 powder in Switzerland. Color, shape and "smell" are identical. The only thing that's changed over the years in the GP11 powder is the coagulent. This is my Son's k31 and the loads replicate the original cartridge. The target is at 100 yards and is completely repeatable. We consider it a "proven load". For us, that's 20 targets with 5 rounds each with the same nominal POI. And for the record.......... 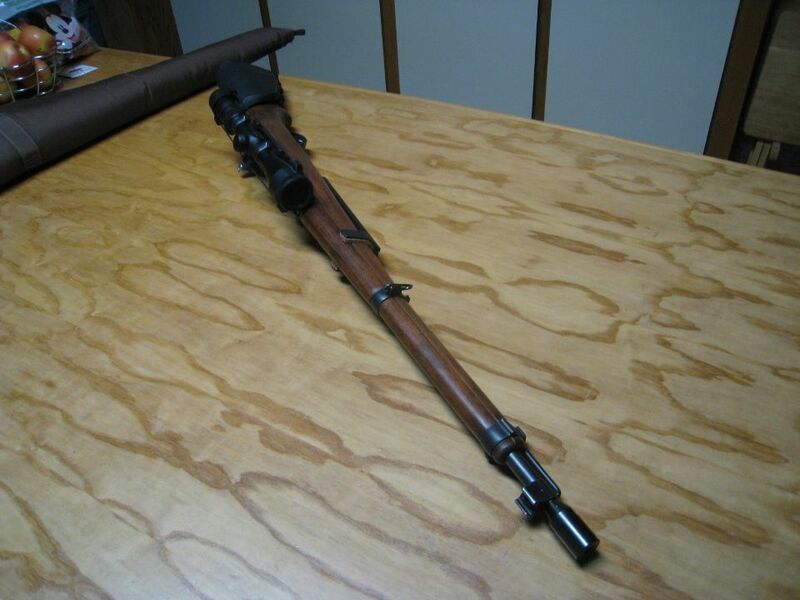 Offset mounts, including the M1D Garand are not zeroed at 100, 200 or even 500 yards. Look at this diagram. 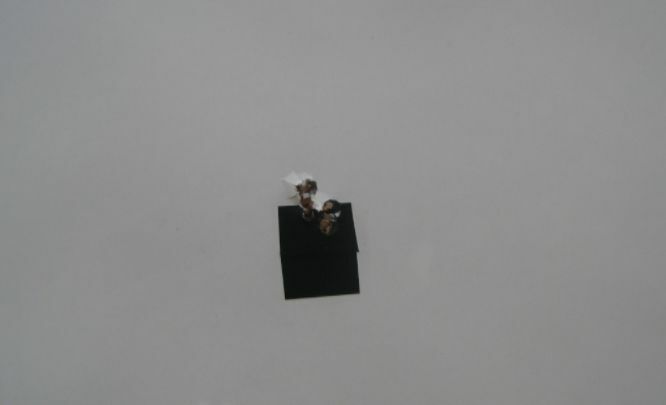 POI stays the same from 25 yards right out to 1,000 yards which the rifle is fully capable of. 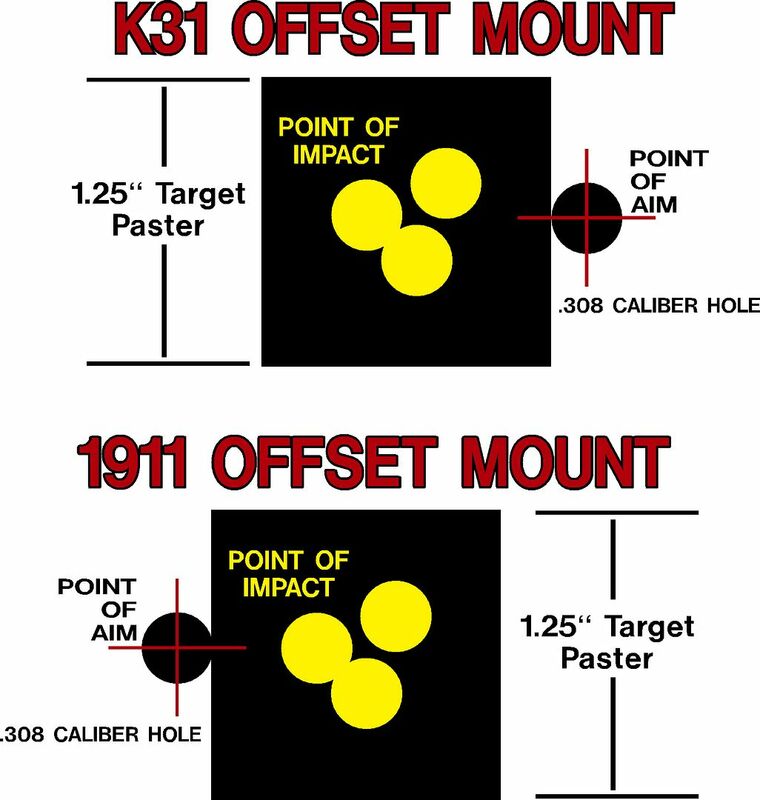 The offset of the mount is 11/16", so leave it at exactly that POI at 100 yards and it will remain so out to 1,000 yards. No need to zero it on the bullseye. If you do, the POI will change the further out your target is. 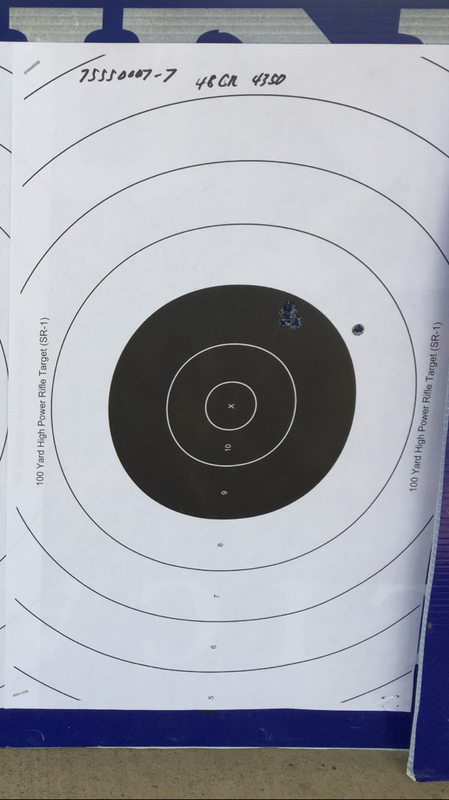 If you can tell the difference beyond 200 yards, you're a much better shot than I am, Gunga Dihn. Thank you for the info. 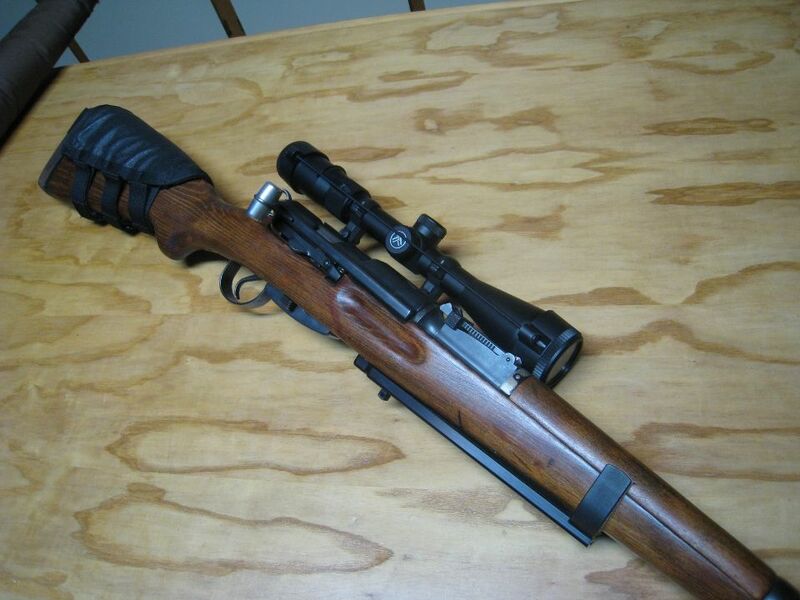 I have an offset mount for my K31 as well as Re17. I’ve got various billets to choose from including 168 smk’s. Can you tell me what your recipe is for your duplicate load using Re17 and Bullet choice? Thanks again. I'm afraid that it wouldn't help you. Every firearm in the SP armoury has it's bore hBN slurry sealed and we only fire ICPs. The muzzle velocity changes when that's done and the load data must be changed as well, but........... I can tell you that if you're using a 175gr VLD or a 168SMK, a good starting point is 41gr of RE17. I forgot to mention that case prep is a huge part of our successful data. Pay close attention to neck tension when you're developing a load. That's a huge deal. With regards to the scope offset zeroing, do you aero for poa/poi at 100? Or do you leave it at 11/16” impact to left of aim? KK, were you aware that the Guinness world record for open sights was done by a friend of mine, Ernie Jimenez with an unmodified k31? ..... three times in a row at 1,000 ... 1,500 and 2,000 yards. Does that tell you what the possibilities are with a scope? Very!! I have two K31’s. Both shoot great with gp11. Just want to get the most out of it. Great expectations! !